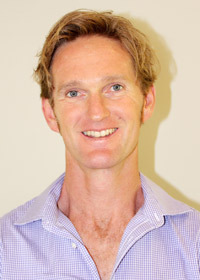 Mark has a special interest in athletic performance, paediatrics, and family care. He has completed 2 years of post graduate study in chiropractic paediatrics. Personal interests include: core strength training, riding, running, surfing, and skiing. Mark and Julie are kept busy with their 3 beautiful children; Tilly, Tom, and Oscar. As a chiropractor of 20 years, and a mother of 3 wonderful children, Julie shares her experience to help educate and inspire families to live healthier lives. Over the past 20 years, Julie’s passion for chiropractic has steadily grown. She sees chiropractic as not just a job; but a way of life. Family care and helping women through pregnancy and birthing has become Julie’s special focus in recent years. As such she has taken every optional learning opportunity she can to enhance her knowledge and learning. 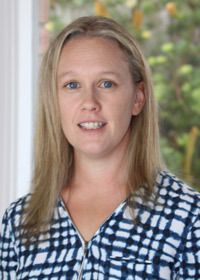 Julie completed the 5-year double science degree in Chiropractic, graduating from RMIT University in 1995. Since then she has completed 2 years of post graduate study in chiropractic paediatrics. She is also certified in Webster technique, used in pregnancy. Her passion for great nutrition has led Julie to constantly learn more about foods and their impact on our health. Julie believes that, “Once you have an understanding of how the body really works you tend to make choices in your life that work with the body and not against it.” She feels that by sharing her understanding of the body and its physiology she can help people know more about their bodies defences and have more faith, confidence and belief in their own body’s ability to heal and stay well. 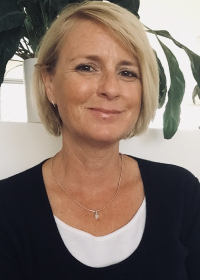 Julie loves being a part of the Mornington Community and looks forward to helping people in the community achieve a better quality of life through chiropractic care, nutritional advice and exercise. Straight out of High School, I enrolled in a three year Diploma course in Naturopathy, one year in, a Degree course was offered and I jumped at the opportunity. Here we focused on evidence based Nutrition, evidence based Herbal Medicine and other modalities such as massage, lifestyle impact and an element of psychology. In 2002, I graduated with a Bachelor in Health Science Degree, Naturopathy and a Diploma in Health Science, but my story starts long before then. Ever since I was a young child, I enjoyed helping people. Figuring out some kind of solution to a problem (limited at a young age) was fulfilling. I knew that I would end up in some type of service role. I especially love helping people take control of their health in ways never thought possible. I have dealt with food intolerances both personally and professionally and even though it felt uncomfortable at first (change can often be a challenge), I realised just how much we can do to take control. I have lived on the Mornington Peninsula for over 25 years where my husband and I wanted to raise our two children. I have worked with the beautiful Chiropractic Connection team over the past 15 years. I have a special interest in helping women get their energy back and helping them find effective ways to manage their lives without neglecting their own health. We all lead such busy lives and I find women, in particular, spend so much of their time in traditional roles, plus working full time. I get great satisfaction out of keeping the treatment achievable while still meeting our goals and expectations. I am really looking forward to meeting you, hearing about your story and helping you achieve your health goals. I am not going to tell you that it will be all sunshine and rainbows, I can, however, tell you that we will work together. Please do not wait for the “perfect” time to look after yourself, there will always be something seemingly in the way. Start now, wherever you are at, let’s just start. Joy is a fully qualified and experienced Professional Counsellor. Since 2006 Joy has been supporting people through difficult and challenging life changing events. From couples in need of supportive strategies to enhance their relationship including communication techniques, to individuals who have needed support and guidance during difficult and emotional times. 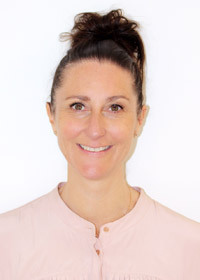 Joy offers a solution focused approach using techniques that enable her clients to identify and clarify issues and successfully work towards favourable outcomes. Joy is also an experienced and qualified trainer and assessor, and has facilitated a number of accredited and non-accredited programs. Throughout the year Joy runs wellness programs such as stress management support programs, laughter therapy programs and general health and wellbeing programs. These programs benefit the community promoting health and wellbeing awareness. Joy’s holistic approach to health and wellness is unique, this year she introduced her Solace Essential Wellness product range. This range is specifically designed to support you in maintaining a healthy mind and body. Dr Mark Lacey and Dr Julie Gray both volunteer for Peninsula Hands on Health (Rosebud and Dromana) – they love to be able to help less fortunate people towards optimal health through natural, gentle chiropractic care and lifestyle improvements. The Mission of HANDS-ON-HEALTH AUSTRALIA (HoHA) is to ‘enable volunteers to share their gifts to help heal and transform lives, promote health and wellbeing through a spirit of welcome and mutual respect, and provide inter-disciplinary and inclusive health care that embraces all people’. Dr Mark Lacey and Dr Julie Gray are both very involved with Peninsula Chiropractors United. PCU is a not for profit association of professional chiropractors dedicated to empowering, educating and serving the local community in aspects of health and well being. We are committed to raising the awareness of our profession as a safe and effective healthcare and lifestyle choice for both individuals and families. Our goal is to empower, educate and serve our community. Our vision is to make Chiropractic care accessible for all people, and increase community awareness of the benefits of Chiropractic. We operate as a not-for-profit incorporated association, funded through contributions from member-Chiropractors, to support our profession and give back to the people of the Peninsula. Every year Chiropractic Connection runs a toy drive during November, to collect toys to donate to the Mornington & District Hamper Committee. M&DHC then distribute these toys to our community’s struggling families. 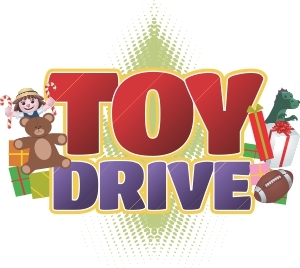 For every toy donated by Practice Members, Chiropractic Connection matches the $ amount and donates this to the M&DHC to buy food for the hampers for these families.